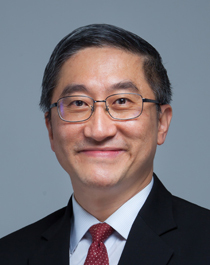 Adjunct Associate Professor Lim Soo Teik is Deputy Medical Director, National Heart Centre Singapore (NHCS), and Director of the Cardiac Catheterisation Laboratory and Senior Consultant with the Department of Cardiology at NHCS. He is also the Deputy Academic Vice Chair, Training & Education in the Cardiovascular Sciences Academic Clinical Programme. Adj Assoc Prof Lim’s subspecialty interest is in interventional cardiology. He specialises in coronary angioplasty and stenting, as well as peripheral vascular interventional treatment for diseases in carotid, renal, iliac and lower limb vessels. Additionally, he has a special interest in the management of pulmonary hypertension, dyslipidemia and hypertension. ​Adj Assoc Prof Lim graduated with his Bachelor of Medicine and Surgery in 1989 and his Master of Medicine (Internal Medicine) in 1993 from the National University of Singapore. Adj Assoc Prof Lim has been a Member of Royal College of Physician, Edinburgh, UK since 1993; Fellow of the Academy of Medicine Singapore since 2000 and Fellow of the Royal College of Physicians, Edinburgh, UK since 2004. He completed his fellowship in Interventional Cardiology at the William Beaumont Hospital, Royal Oak, Michigan, USA in 1999 and Peripheral Vascular Intervention at the St. Elizabeth Hospital, Boston, Massachusetts, USA in 2000. He is also an Adjunt Associate Professor at the Duke-NUS Medical School. ​Adj Assoc Prof Lim is also a caring clinician who has won numerous internal and external service awards.